Even though he wasn't here to enjoy the movie viewing party with us, Mr. A is actually quite a fan of the movie. 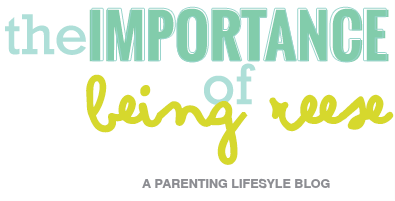 Years ago he was stationed in Hawaii, so he could connect to the movie on a personal level, and he also enjoyed being able to watch a movie that celebrates determination and strength with his daughter. 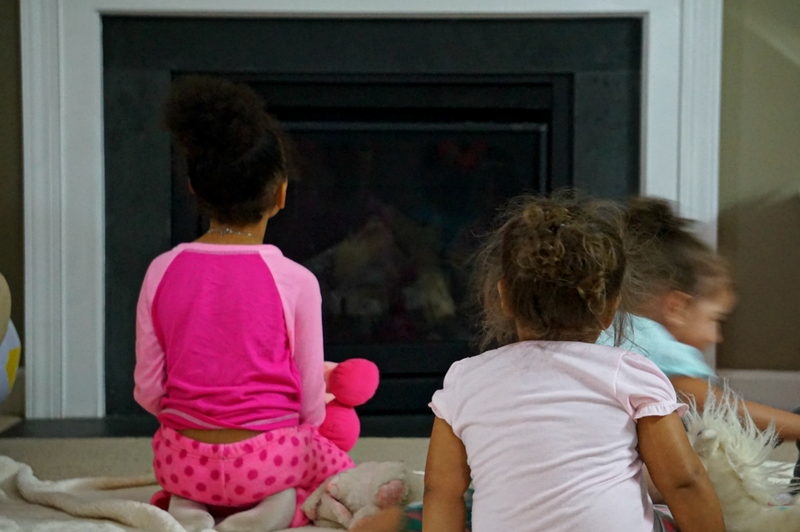 The day of our movie viewing party, our tiny guests showed up excited about seeing Moana for the first time. Since Little J is an only child, it was especially heartwarming to hear the sounds of little giggles coming from the living room while the girls waited for us to finish preparing the food. 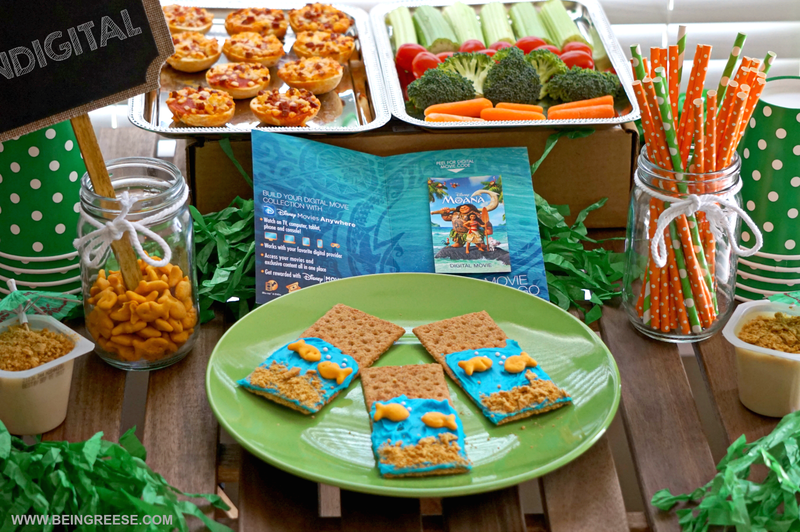 To set the mood, I created several beach themed foods, both of which were INCREDIBLY easy to prepare. 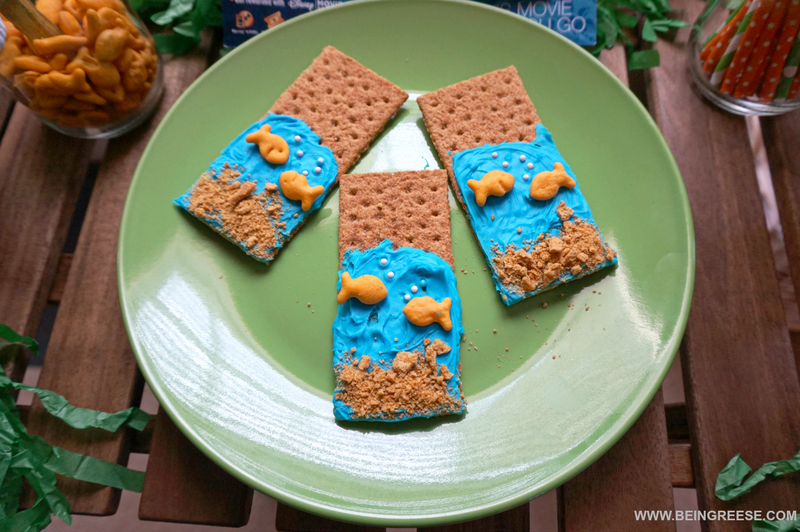 The best thing about these adorable fish tank graham crackers is that they look so cute, but take less than a minute to make. All you need is blue icing, graham crackers, gold fish and little white sprinkles. Simple and perfect for a party. 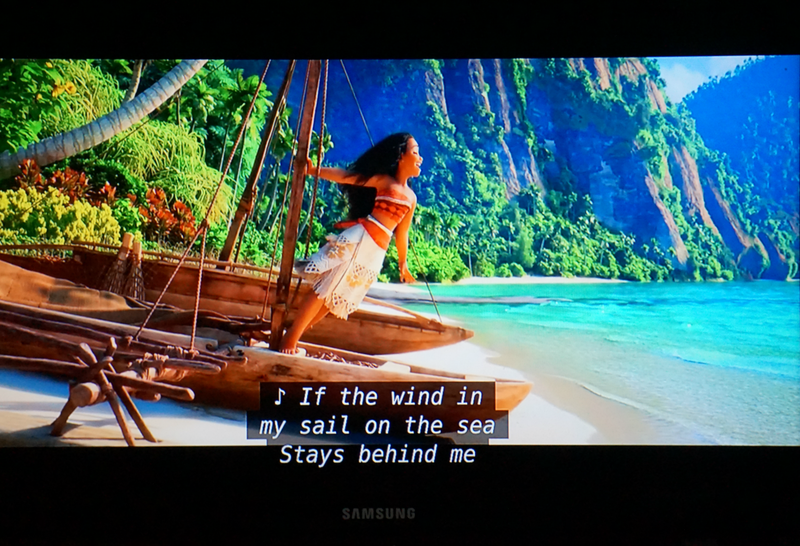 Once the goodies were done, I hooked up our new Google Chromecast to the TV and downloaded our digital movie code with Disney Movies Anywhere and turned on the movie. By the time I finished up the rest of the food, the kiddo's were fully engrossed in the movie, so we all happily munched and continued to enjoy the movie together. Halfway through, we paused to put on our jammies and get extra comfortable. We created a makeshift bed for all the kids to relax on. And finished out the movie. This was our first time using the Disney Movies Anywhere App, and it really incredibly easy to use. 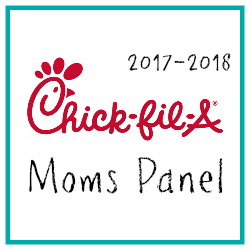 All you have to do is download the app, purchase the digital version of your favorite Disney films to your TV, tablet, computer or cell phone and your good to go. 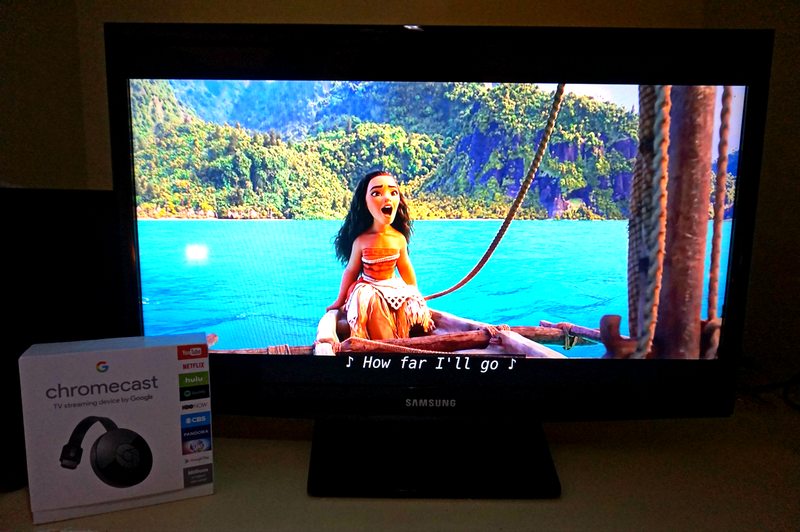 You can truly take your Disney movies anywhere, which is a major plus if you travel often. 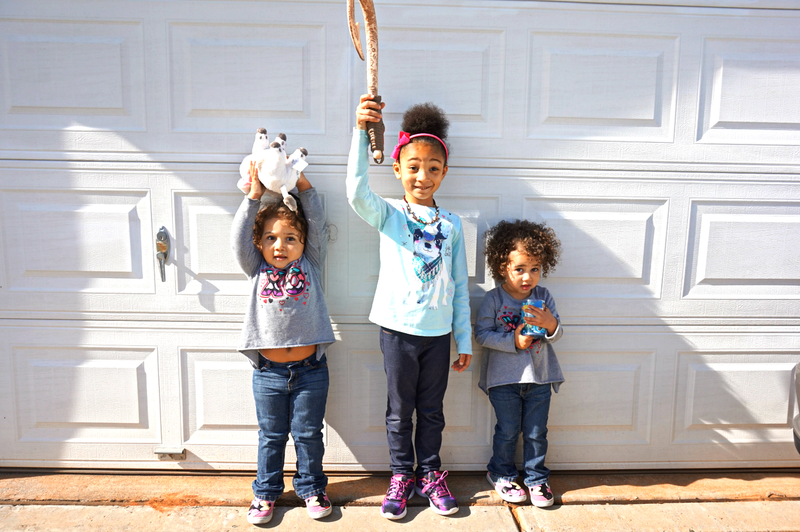 The next day, Little J and I surprised our guest with some super fun Moana swag. I was proud of my kiddo for being so willing to share with her friends. Moana is currently available on Blu-ray, DVD and Disney Movies Anywhere. The DVD includes tons of bonus features and footage! The soundtrack is also available. 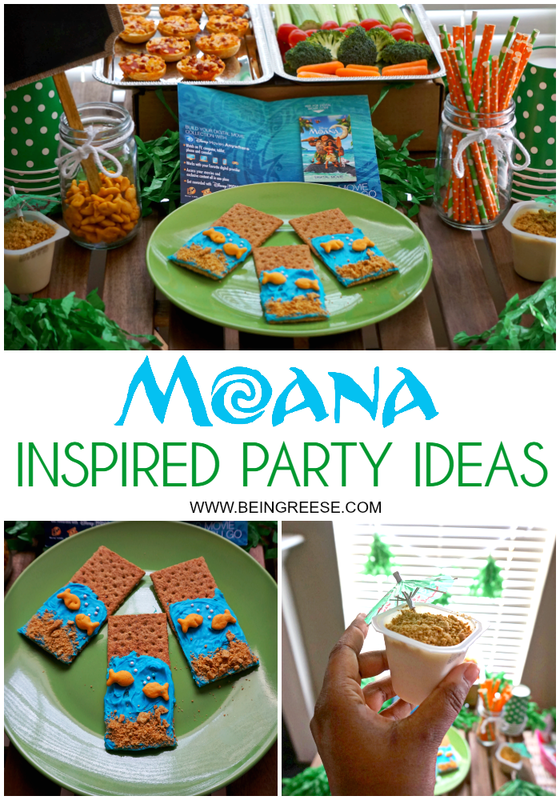 So if you're planning on hosting a Moana Themed Party, make sure to pick up. Because a Moana party just isn't a party until you sing "How Far I'll Go," at least 5 times. Have you seen Moana yet? What did you think of it? 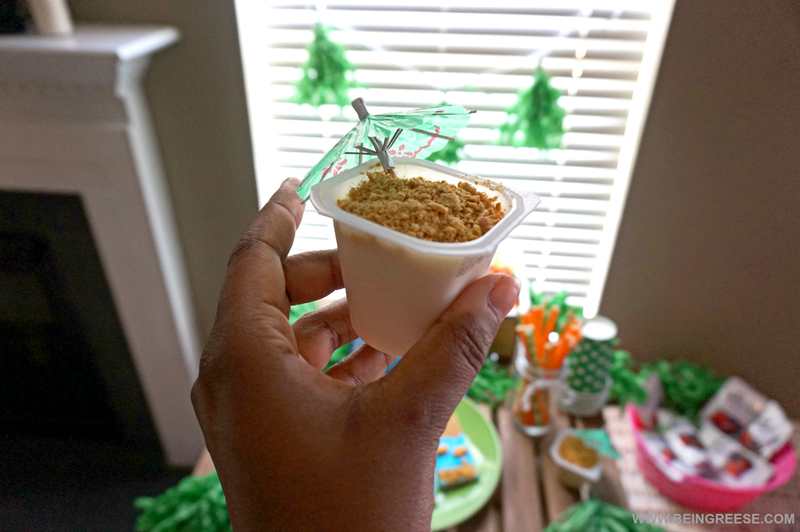 If you want to learn how to make these adorable Moana Inspired Treats, be sure to click HERE for a recipe card! 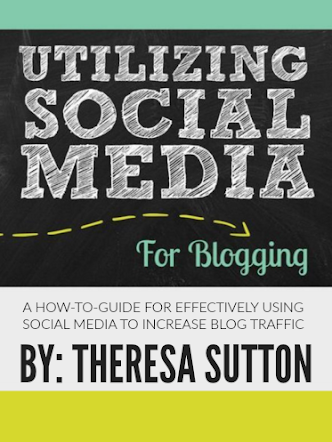 As always, feel free to TWEET this post to share with friends and family, or REPIN this post for later!